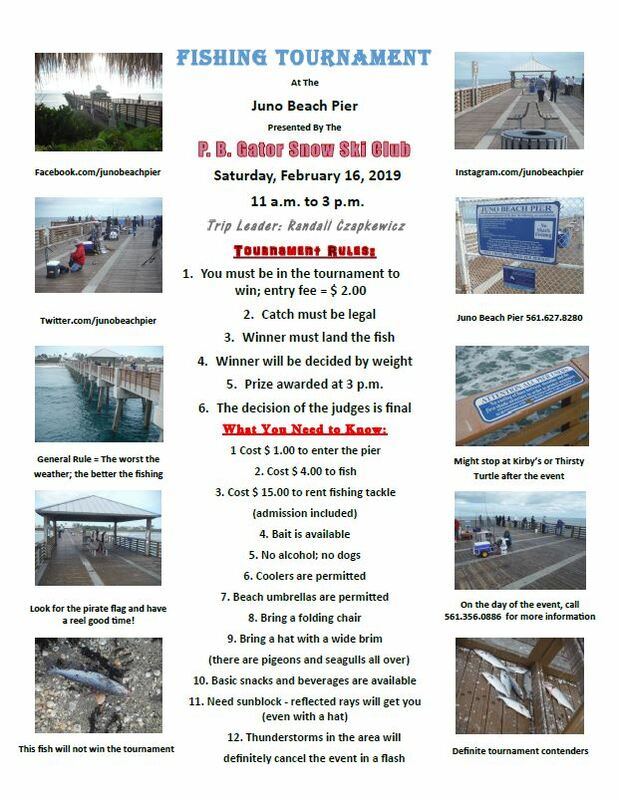 Join the Gators for a fun time at the Juno Beach Fishing Tournament. You do not have to enter to attend. You can fish yourself or just have fun with your friends watching the tournament. Contact Event Leader Randall Czapkewicz the day of the event for more information at 561.356.0886. 1. Cost $1.00 admission to enter the pier. 2. 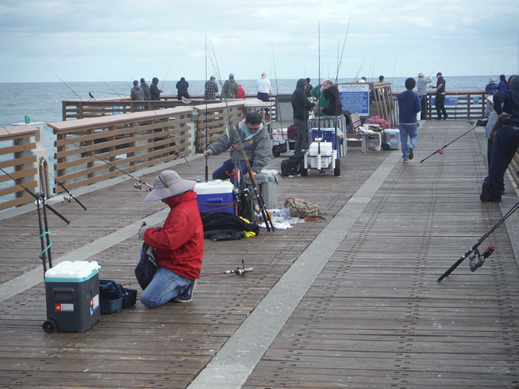 Cost $4.00 to fish from the pier (admission included). 3. Cost $15.00 to rent fishing tackle (admission included). 5. No alcohol; no dogs. 7. Beach umbrellas are permitted. 8. Bring a folding chair (there are pigeons and seagulls all over). 9. Bring a hat with a wide brim (there are pigeons and seagulls all over). 10. Basic snacks and beverages are available. 11. Need sunblock - reflected rays will get you (even with a hat). 12. Thunderstorms in the area will definitely cancel the event in a flash. 13. 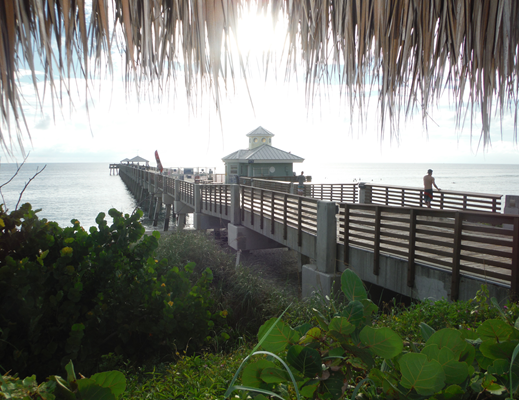 Bring Chapstick lip balm - the salt air and wind work in synergy. 1. You must be in the tournament to win; entry fee = $2.00. 2. Catch must be legal. 3. Winner must land the fish. 4. Winner will be decided by weight. 5. Prize awarded at 3 p.m.